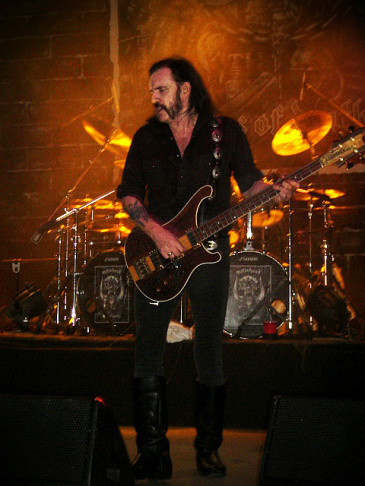 Lemmy Kilminster of Motörhead performs on stage on June 12, 2005 at day three of the Download Festival, in Donington Park England. 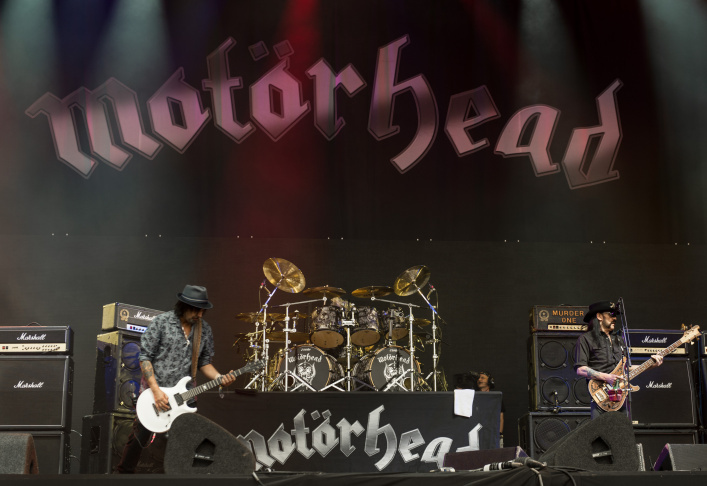 Motörhead were the final act of the festival to perform on the Snickers stage. 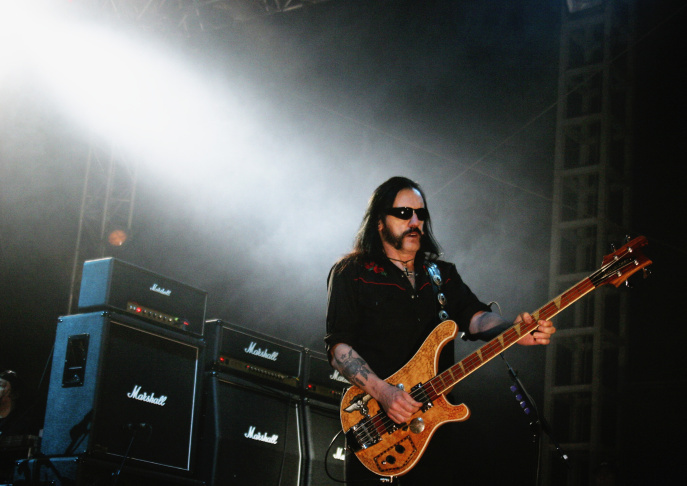 Lemmy Kilminster of Motörhead performs on stage on June 12, 2005 at day three of the Download Festival, in Donington Park England. 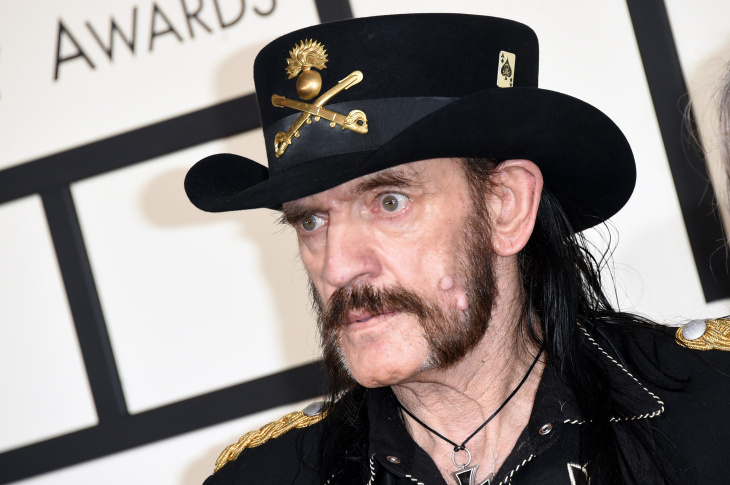 Musician Lemmy of Motörhead attends The 57th Annual Grammy Awards at the Staples Center on Feb. 8, 2015 in Los Angeles. 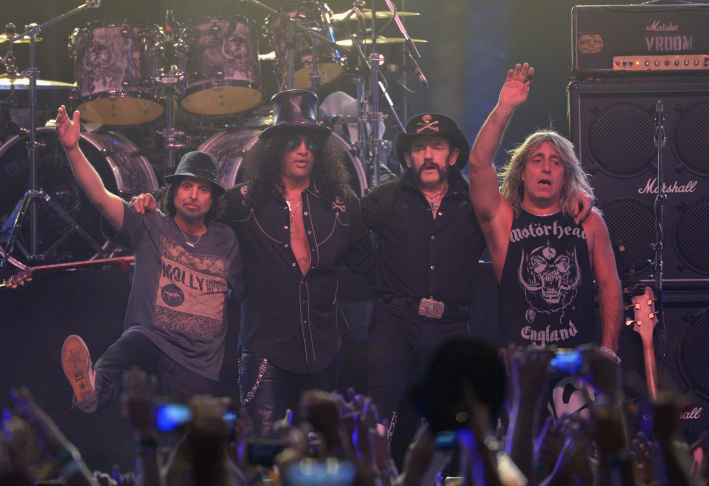 (L-R) Musicians Phil Campbell of Motörhead, Slash, Lemmy Kilmister and Mikkey Dee of Motorhead perform onstage during day 3 of the 2014 Coachella Valley Music & Arts Festival at the Empire Polo Club on April 13, 2014 in Indio, California. 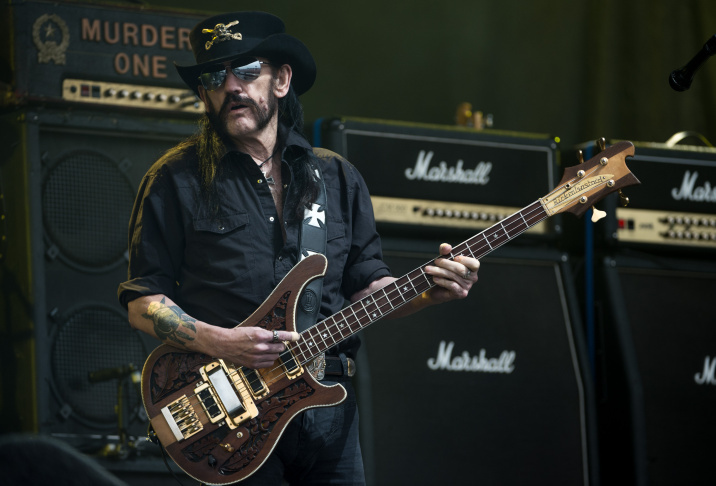 Musician Lemmy Kilmister of Motörhead performs onstage during day 3 of the 2014 Coachella Valley Music & Arts Festival at the Empire Polo Club on April 13, 2014 in Indio, California. 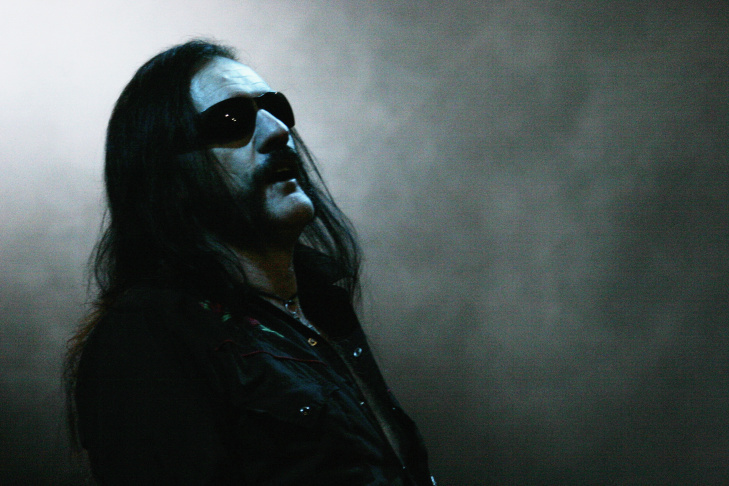 Lemmy Kilminster of metal rock group Motörhead performs at the London stop of their 30th anniversary tour, at Carling Academy Brixton on Nov. 19, 2005 in London, England. 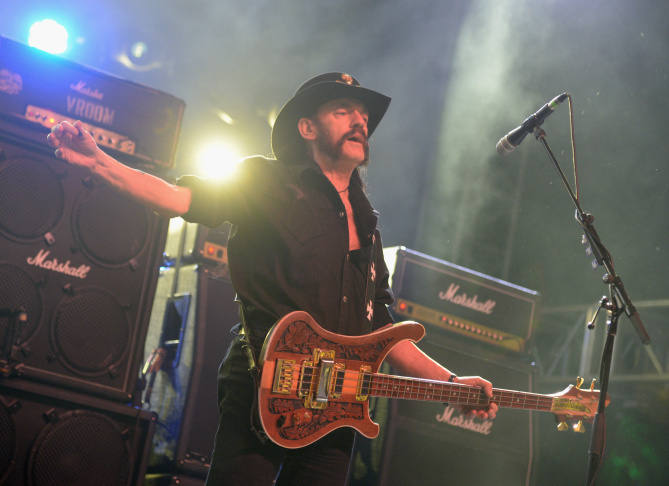 Lemmy from Motörhead performs on The Pyramid Stage during the Glastonbury Festival at Worthy Farm, Pilton on June 26, 2015 in Glastonbury, England. 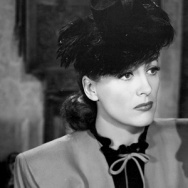 File photo: Motorhead frontman Ian "Lemmy" Kilmister's outsized persona made him a hero for generations of hard rockers and metalheads. Lemmy Kilmister of Motörhead performs on stage during the Ansan Valley Rock Festival on July 26, 2015 in Ansan, South Korea. 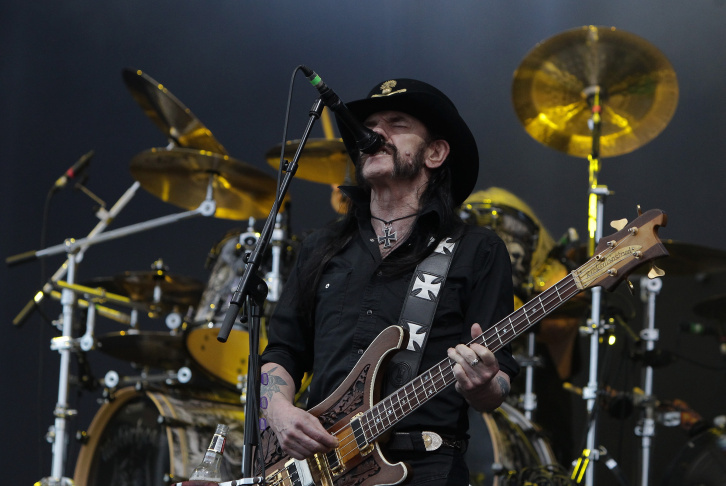 Lemmy and Phil Campbell from Motörhead performs on The Pyramid Stage during the Glastonbury Festival at Worthy Farm, Pilton on June 26, 2015 in Glastonbury, England. 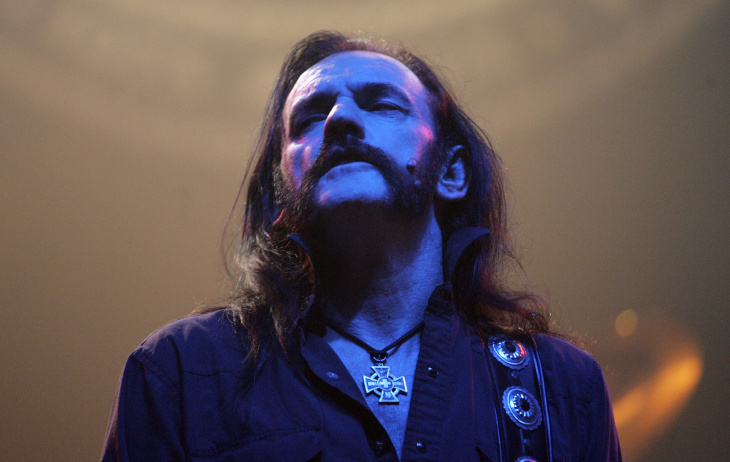 Ian "Lemmy" Kilmister was the lead singer of legendary heavy metal band Motörhead. 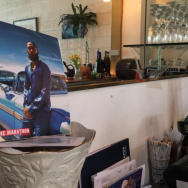 He passed away last month at 70 years old, but fans have another chance to celebrate his life with his memorial service at Forest Lawn Memorial Cemetery in Hollywood — streaming live online. Fans have been asked not to show up at the cemetery due to limited space, but they are being asked to remember Lemmy together. One place paying tribute: the Rainbow Bar and Grill on the Sunset Strip, where Lemmy was a fixture. They planned a 12-hour celebration, from 2 p.m. Saturday to 2 a.m. that night. 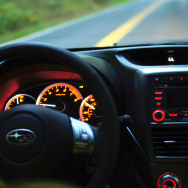 They plan to stream the service on behalf of the band before closing their doors from 5 to 9 for a private service, at which point fans are told to go to the Roxy next door. There's also a Motörhead tribute show being held at the nearby Whisky A Go Go, with doors opening at 6 p.m.
"So wherever you are, PLEASE get together and watch the service with fellow Motörheadbangers and friends. 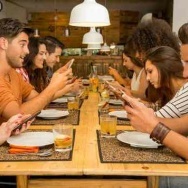 GO to your favorite bar, or your favorite club, make sure they have access to an Internet connection and toast along with us. 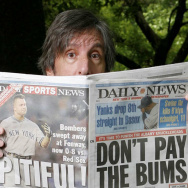 Or simply invite your pals around and celebrate Lemm’s life at home," a statement on the band's website said. One tribute that fans are trying to put together: A statue of Lemmy at the Rainbow. They've raised $3,000 so far of the $30,000 they're seeking to build the statue; the Rainbow is encouraging the statue themselves, linking to the effort on their Facebook statue. The band also asked fans to leave tributes to Lemmy on a Facebook page. Fans who wanted to make a charitable donation under Lemmy's name were encouraged on the band's website to give to the Ronnie James Dio Stand Up and Shout Cancer Fund.